Located in the heart of Napa Valley, St. Helena beckons with its beautiful wineries, five-star dining experiences, and luxurious places to stay. 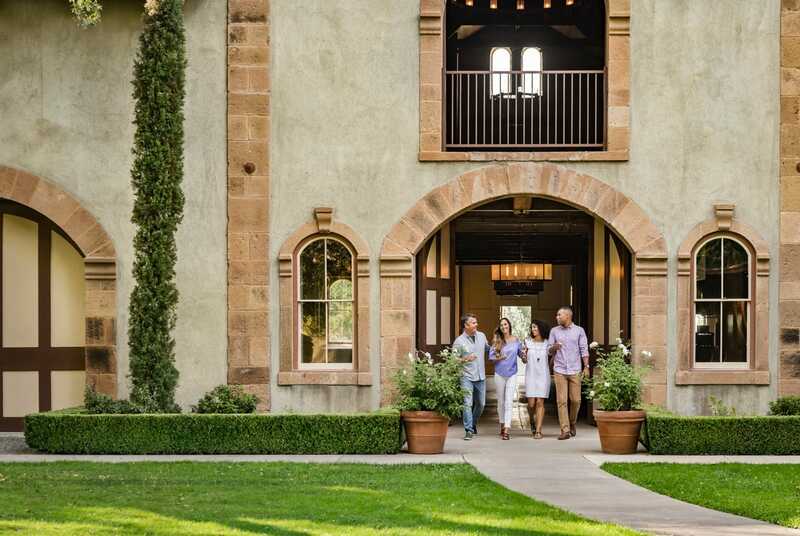 Whether you come for the quality wine, food, or accommodations — or better yet, a combination of all three — St. Helena has everything you need for a memorable weekend getaway in Napa Valley. Here’s our guide to what to see and do in the charming town of St. Helena. Founded in 1861, Charles Krug is not only home to California’s first tasting room, but is also where the Mondavi dynasty first started. Known for its storied heritage and famed wines, Charles Krug Winery is a worthy stop, especially if interested in the legacy of Napa Valley winemaking. Insider Tip: When visiting, don’t miss the onsite salumeria and pizza kitchen, Cucina di Rosa, serving up antipasti and Italian-style, wood-fired pizzas on the weekends. For more than 80 years, Louis M. Martini has been recognized for its world-class cabernet sauvignon, and was the amongst the first to open in Napa Valley following Prohibition. 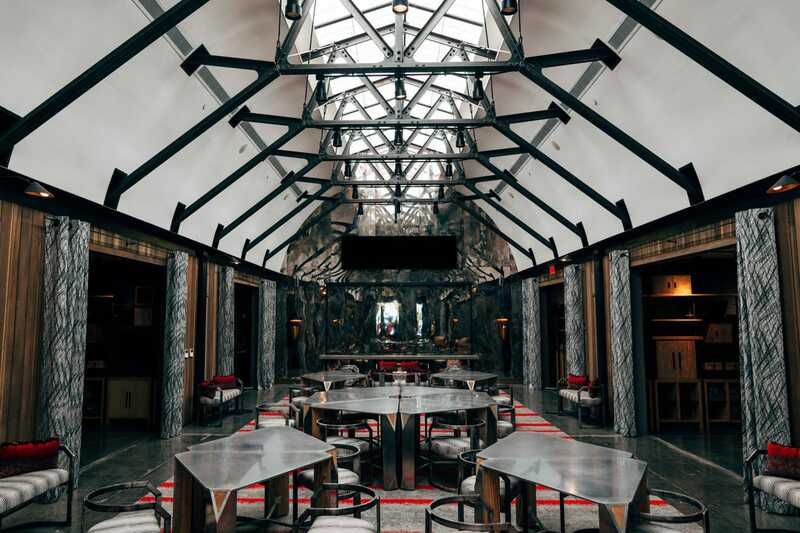 After an extensive renovation, Louis M. Martini is unveiling a new, contemporary winery at the end of March 2019, featuring a stunning new tasting facility and highly curated wine and food experiences. 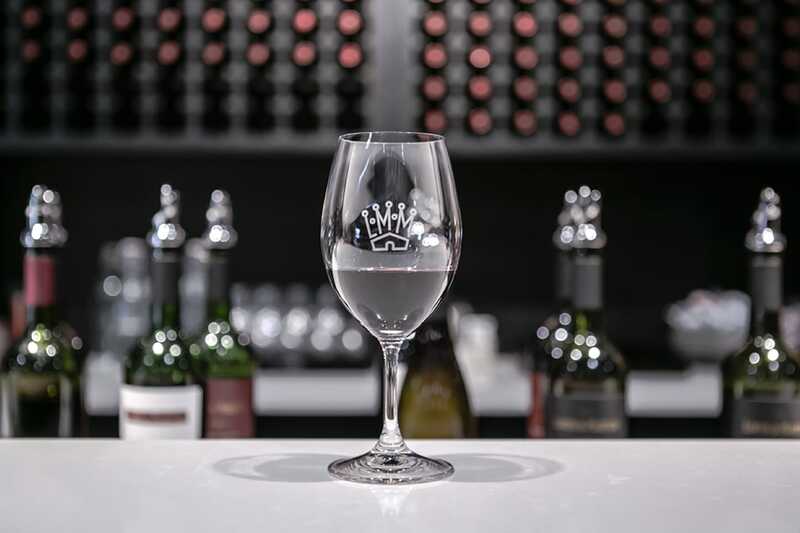 Insider Tip: The new modern facility is designed by famed Wine Country architect Howard Backen, featuring a variety of restored indoor and outdoor spaces from which to enjoy the curated tastings, culinary offerings, and educational experiences. 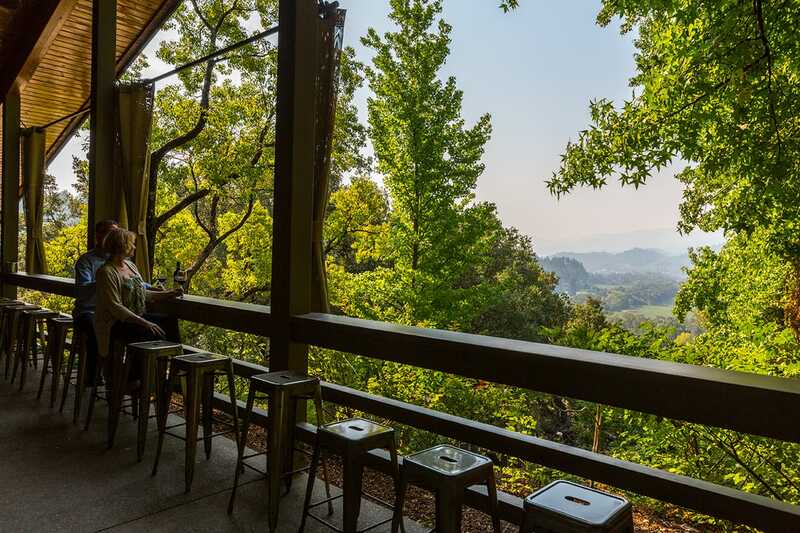 This longtime family-owned winery, set high on a tree-covered knoll just off the Silverado Trail, features scenic views, lush gardens, and a variety of tasting experiences available by appointment. Whether you come specifically for the classic Napa Valley chardonnay, for a cabernet-focused tasting with a stunning view, or to picnic in the garden, a visit to Rombauer is sure to please. Insider Tip: Wines by the glass are available to enjoy from the porch or gardens, should you not want a full tasting, but reservations are still encouraged. For those looking for something a bit outside the box, Prisoner Wine Company is your place. Made famous by their eponymous red blend, Prisoner Wine Company offers a reimagined wine tasting experience in Napa Valley, where a dark, moody lounge and a private tasting gallery called The Makery provide a unique and unexpected place in which to sip. Insider Tip: The Makery is more than just a private tasting space, it’s a place that celebrates artisan makers and craftspeople who forge their own paths. Expect each visit to offer something new, since the line-up of makers changes regularly. Since 1948, Trinchero has been dedicated to crafting quality wines that represent the Napa Valley. Set on 22 acres and surrounded by vineyards, the winery offers a variety of tasting experiences that explore terroir, vintages, and culinary pairings. Insider Tip: In the summer months, Legacy Club Members can reserve the members-only bocce ball court overlooking the vines. Also worthy of a stop is HALL Wines St. Helena, where a dedication to beauty shows in everything from the wine to the extensive artwork and sculptures throughout the property. Just off the Silverado Trail at the base of Pritchard Hill, Dakota Shy is a picturesque estate dotted with acres of redwoods and olive trees, recognized for its powerful cabernets. Located just eight minutes from downtown St. Helena is the family owned and operated Burgess Cellars, where a tasting of estate wines comes with expansive views from 1,000 feet above. 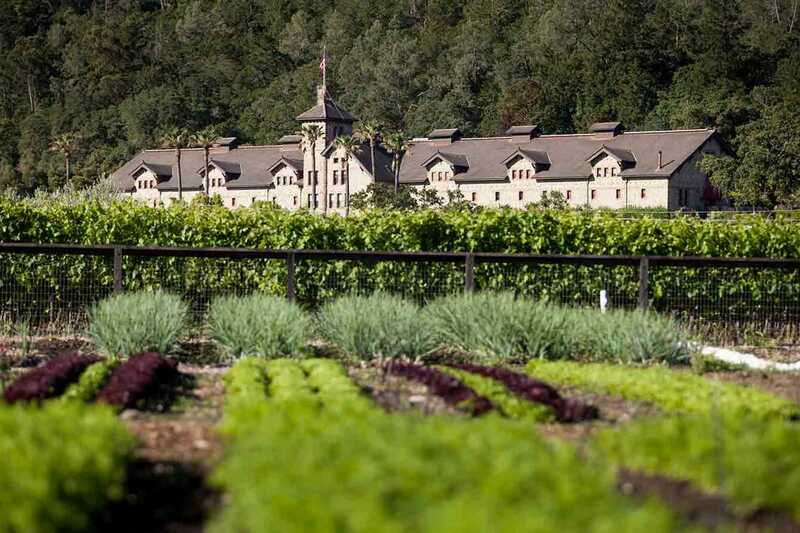 And just north of town, head to the historic Freemark Abbey for quintessential Napa Valley wines. They also have a family-friendly restaurant, Roadhouse 29, located on-site. Attached to Long Meadow Ranch winery, Farmstead’s American farmhouse cuisine is good any time of day, but brunch should not be missed. 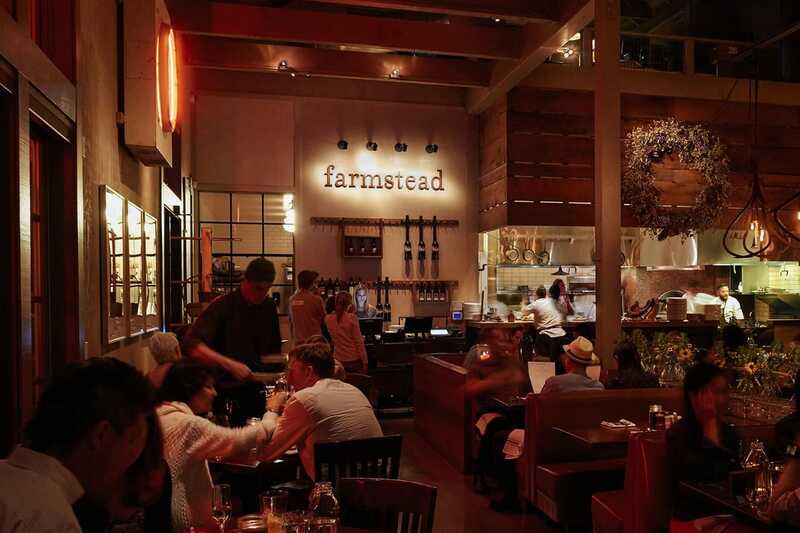 Featuring ingredients sourced from their farm, ranch, and vineyards, Farmstead is all about eating fresh and local food, whether reaching for the fresh-squeezed carrot juice or grass-fed short rib hash. Insider tip: The “Big Easy” beignets with bourbon caramel sauce will likely be a highlight of your day, so don’t skip an order of these to share. 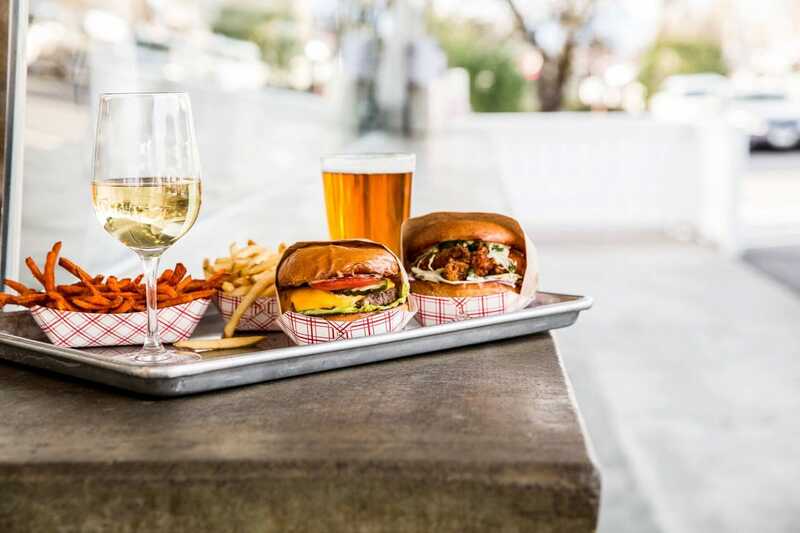 This Napa Valley favorite is an American classic, serving mouthwatering burgers from its roadside diner since 1999. Stop by for a classic burger made with a ⅓ pound Niman Ranch beef patty or dig into something more adventurous, like the kimchi burger with fried egg and spicy mayo. You’ll also find salads, fries, milkshakes, and, because it’s Napa Valley, a selection of wines by the glass and bottle. Insider tip: If you save room after your meal, Gott’s offers soft-serve ice cream by the cup or cone, available with all the fixin’s. Airy and comfortable, Archetype will transport you to summer in Martha’s Vineyard, but with a Napa Valley twist. The plant-forward bistro cuisine uses locally-sourced ingredients, made unique by their signature char from the oak-fired oven and grill. Open for lunch and dinner daily, they also serve brunch Thursdays through Mondays, featuring everything from chia seed pudding to biscuits and gravy. Insider tip:Those with dietary restrictions will appreciate the restaurant’s many vegetarian and gluten free options, but if you aren’t limited by diet, be sure to try the maple sugared donut holes served with butter pecan dipping sauce. This chic, upscale steakhouse recently reopened after a brief refresh and is better than ever. Still committed to sourcing only the highest quality, local ingredients, some of which are grown in the restaurant’s own gardens, a meal here will find you savoring prime dry-aged beef, fresh seafood, and fire-roasted vegetables alongside the best of the area’s wines. Insider Tip: PRESS is home to the largest collection of Napa Valley wines in the world, so if you’re looking to experience the terroir of the region, there’s no better place to be. Committed to serving the finest dishes expertly prepared and beautifully presented, The Restaurant at Meadowood is a full sensory dining experience highlighting the best of Napa Valley on a plate and in the glass. There’s a reason it has been honored with three Michelin Stars for nine consecutive years. For the ultimate food and wine experience, be sure to add the curated wine and spirits pairing to your tasting menu. Insider Tip: Those looking for Michelin Star dining without the hefty price tag (or ten-course commitment) may want to opt for the three-course bar menu or the $110 “Fireside Snacks” — a sampling of bar bites. When you’re ready for more, head to the heart of downtown St. Helena to stop at the charming Model Bakery for their famous English muffins or a breakfast sandwich to go with your coffee. This location has been a bakery since 1908 and Model Bakery still bakes in the original brick ovens from the 1920s. 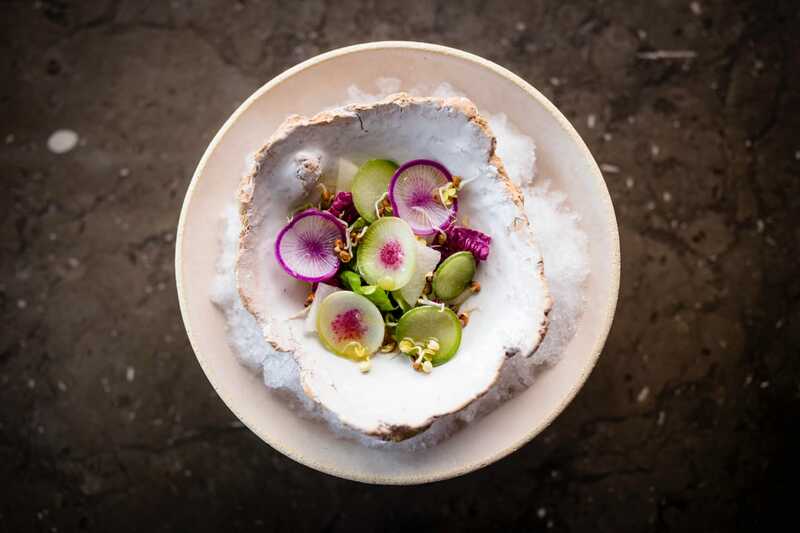 Also worth checking out is Harvest Table, where inspired California fare highlights locally-sourced ingredients, much of which comes from their five culinary gardens. 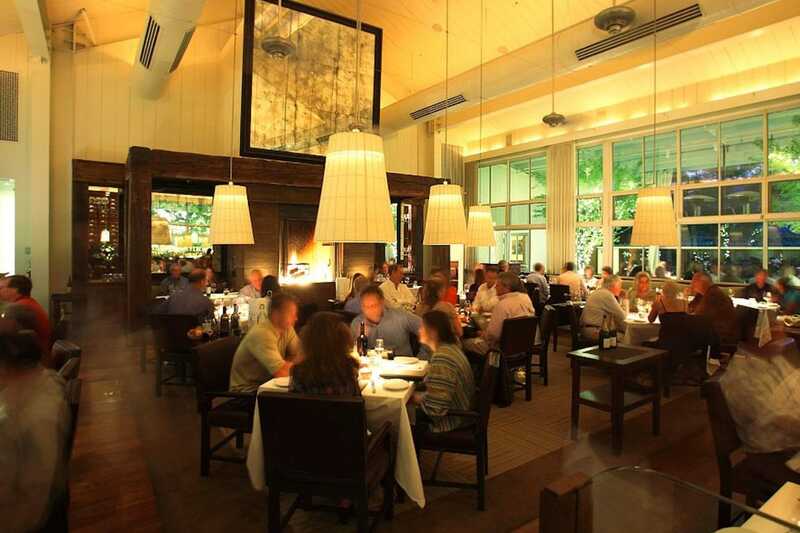 And at the upscale gastropub Goose & Gander, located in downtown St. Helena, you’ll find classic American fare with a Wine Country twist, plus a tasty selection of libations. When out and about tasting wine, V. Sattui Winery makes it easy to have the perfect picnic lunch, thanks to their extensive deli featuring a vast selection of cheeses — over 200, as a matter of fact — sandwiches, pastas, and desserts, as well as weekend BBQ food to enjoy in their large picnic area. Built in the late 19th century and listed on the National Register of Historic Places, this gorgeously imposing building houses cooking demonstrations and classes, wine seminars, a marketplace, restaurant, bakery, and a wine key museum — everything that a gourmand or oenophile could ask for. Insider tip: The CIA also has a location in downtown Napa, offering additional experiences tailored for wannabe chefs, wine enthusiasts, and those who just like good food. 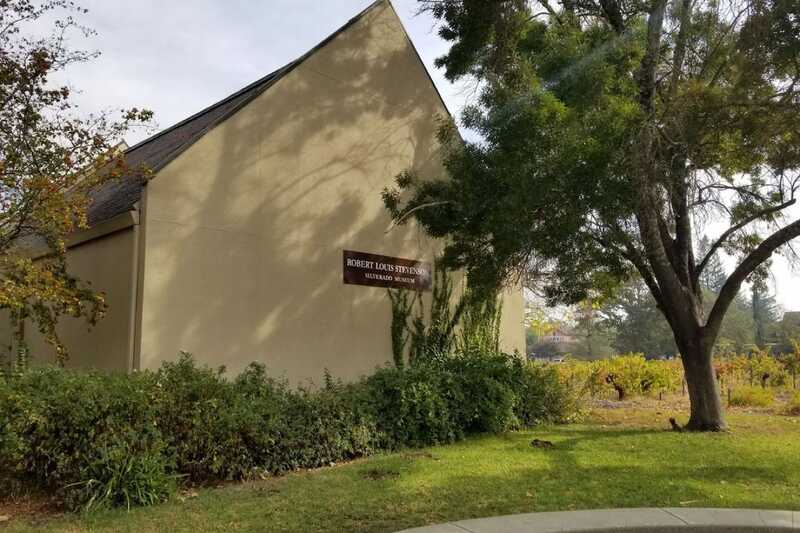 This quaint museum next to the St. Helena Library houses artifacts and manuscripts from the famous author’s life in Napa Valley, providing the unique opportunity to experience his legacy and without a fee, since the museum offers free admission. Insider Tip: Don’t miss checking out the scale model of the Silverado Bunkhouse, offering a glimpse of what it looked like during Stevenson’s time there. 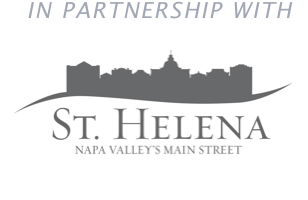 When visiting St. Helena, be sure to wander Main Street (aka Highway 29) between Adams Street and Pope Street for some serious window shopping. Don’t miss Woodhouse Chocolate or FootCandy Shoes. Numerous high end art galleries dot the street too, for the collector or the curious. Or, catch a film at the old fashioned movie house, Cameo Cinema, where owner Kathy Buck personally welcomes the audience before each showing. 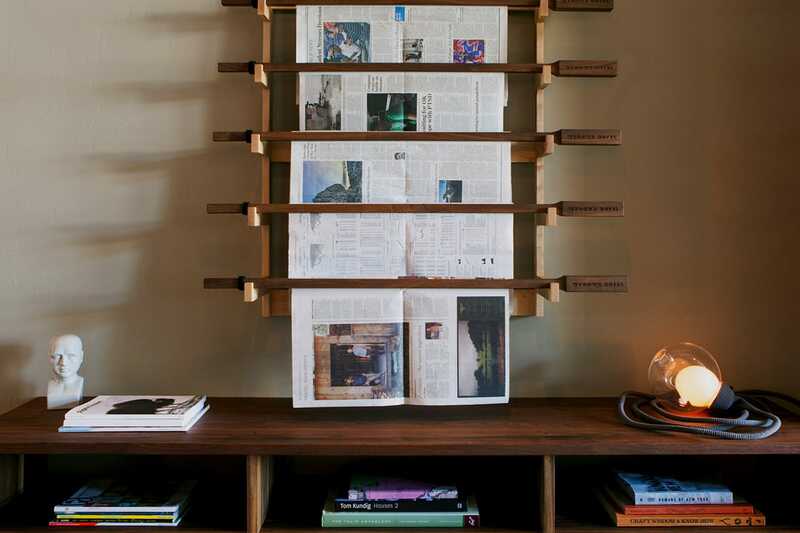 Immerse yourself in the heart of downtown St. Helena at the Wydown Hotel, conveniently located on Main Street just steps from tasting rooms and restaurants. The 12-room boutique hotel offers relaxed, modern luxury, with spacious rooms outfitted with comfortable furniture, Nespresso coffee makers, and plush robes and slippers to make you feel right at home. Insider Tip: Regardless of the time of day, Wydown’s Tea Room will be your go-to gathering spot, where you’ll be greeted with complimentary continental breakfast each morning, gourmet cookies and tea in the afternoon, and Friday wine tastings. It’s also home to the occasional pop-up shop and seasonal celebration. Occupying a 1907 Georgian-style farmhouse and situated against the vineyards of adjacent Beringer Vineyards, Las Alcobas is a luxury retreat that has everything needed for a perfect stay in Wine Country. This adults-only hotel includes an array of guest rooms and suites, an on-site spa and fitness center, a pool, and even a signature restaurant, The Acacia House, where celebrity chef Chris Cosentino puts his unique stamp on California cuisine. Insider tip: There are over 10 different styles of rooms and suites available at the 68-room Las Alcobas, most of which feature outdoor terraces with fireplaces and vineyard views, but for unobstructed views and plenty of room to unwind, book the Vineyard View Grand Suite with Balcony — a top floor, one-bedroom suite with over 1,500 square feet of space. 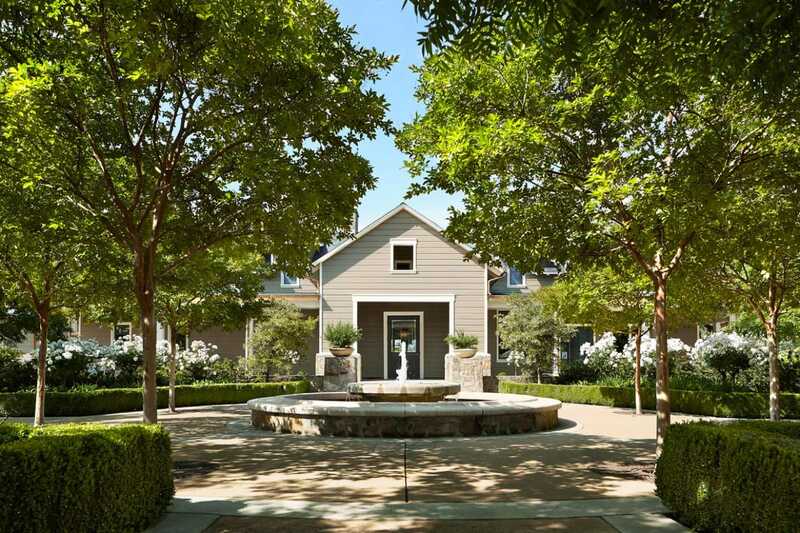 For a five-star experience in Wine Country, head to Meadowood Napa Valley, where you’ll find tastefully decorated rooms and suites, Michelin Star dining, and a spa that caters to your well-being. 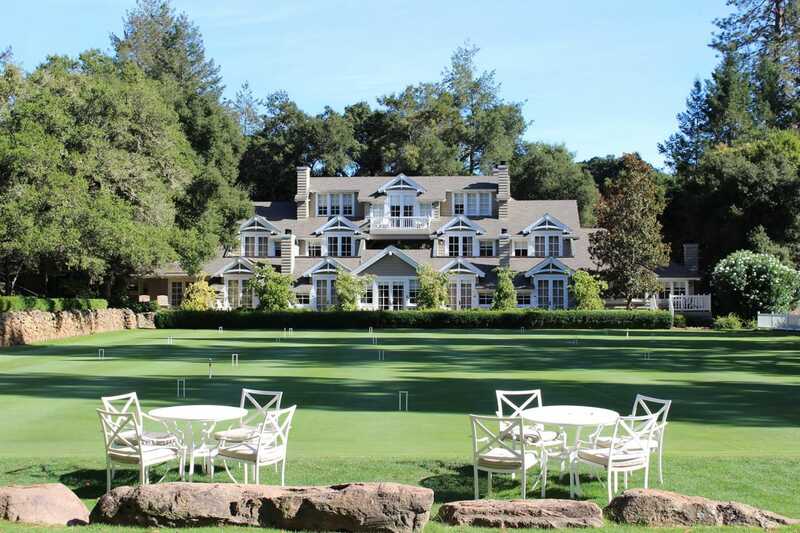 There’s also a wide range of amenities and perks included with a stay here, from the daily wine reception and croquet offerings to shoe-shine services, fitness classes, and complimentary car service to St. Helena and Yountville. It all adds up to a blissful way to experience Napa Valley. Insider Tip: The hotel is set to reveal a brand new remodel of the fitness center and relaxation areas, as well as a new adults-only pool (complete with cabanas and a whirlpool) and a renovated children’s pool area with expanded enhancements — the perfect excuse to soak up the California sun come spring. This picturesque Wine Country retreat boasts 78 spacious and well-appointed rooms, lushly-landscaped grounds, and two heated outdoor pools. 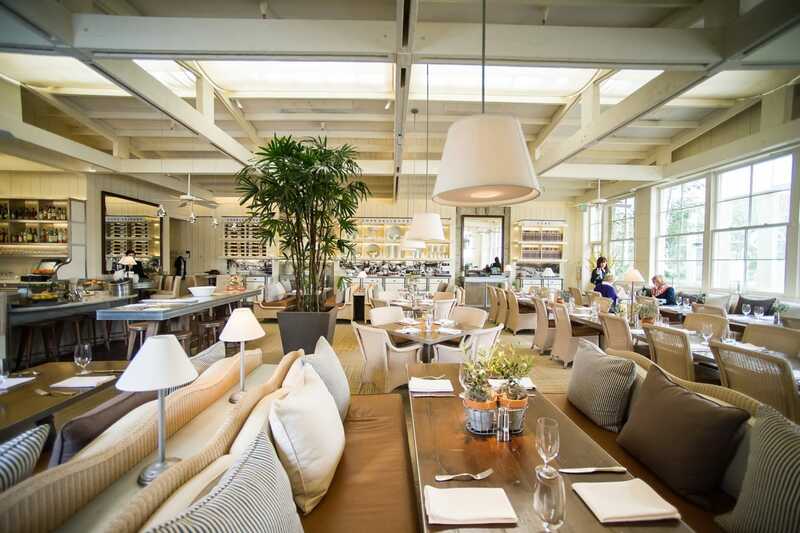 Walk under redwood trees, relax poolside, or dine al fresco at the inn’s Harvest Table restaurant — whatever it is you choose to do or not do, you’ll be captivated by the allure of this St. Helena gem. 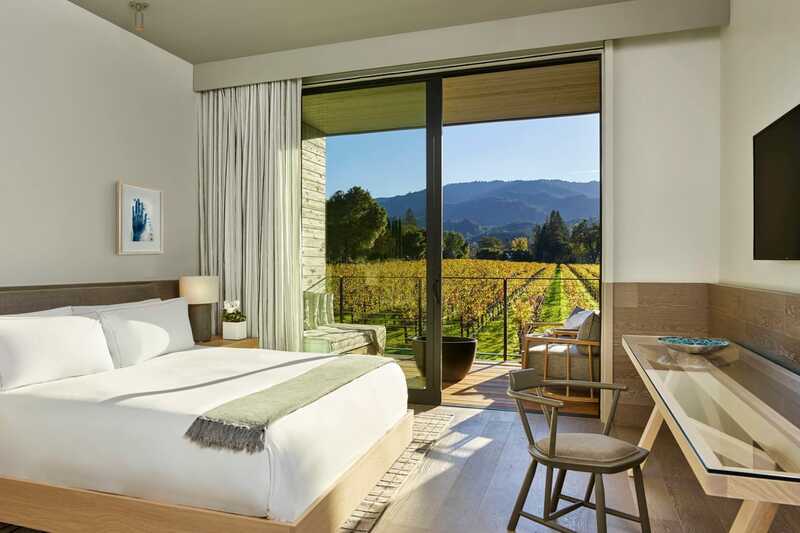 Insider tip:For a little extra space, and a true Napa Valley experience, book one of the Vineyard View Collection rooms, which offer king beds, fireplaces, and, as the name implies, stunning vineyard views. 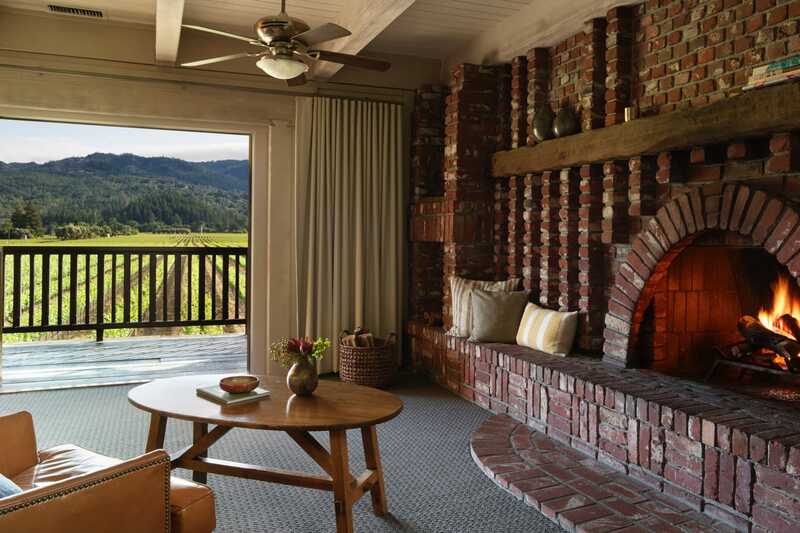 Also worth noting is the Wine Country Inn, offering a tranquil place to stay just a few minutes from downtown, where quiet, comfortable rooms feature private patios and are surrounded by vineyards. Back in town, Southbridge Napa Valley welcomes with its 21 guest rooms boasting vaulted ceilings, king beds with down comforters, fireplaces, and small Juliet balconies — all within a short walking distance to tasting rooms and restaurants.